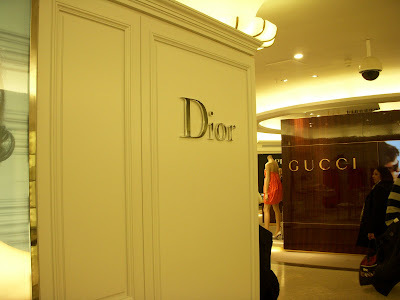 Who would have thought that a department store would thrill me nearly as much as a theme park?! 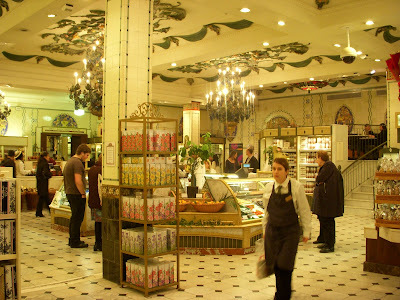 I walked into Harrods and looked around wide-eyed, like a child with unlimited access to Disney World! I was in absolute amazement. Situated in Knightsbridge, Harrods is apparently one of the largest department stores in the world, with designer labels everywhere ~ I mean everywhere! It has over 300 departments, including clothing, jewelry, sporting gear, electronics, bridal wear, pet accessories, toys, food, furniture and so much more. If anything, the food halls will make you feel as though you’ve died and gone to heaven! 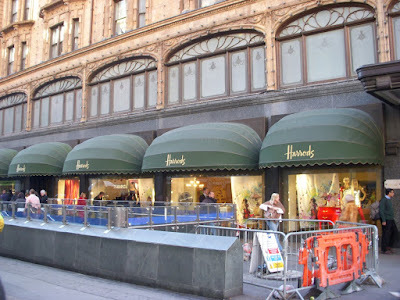 The proud owner of Harrods is Mohamed Fayed, an Egyptian businessman and billionaire.